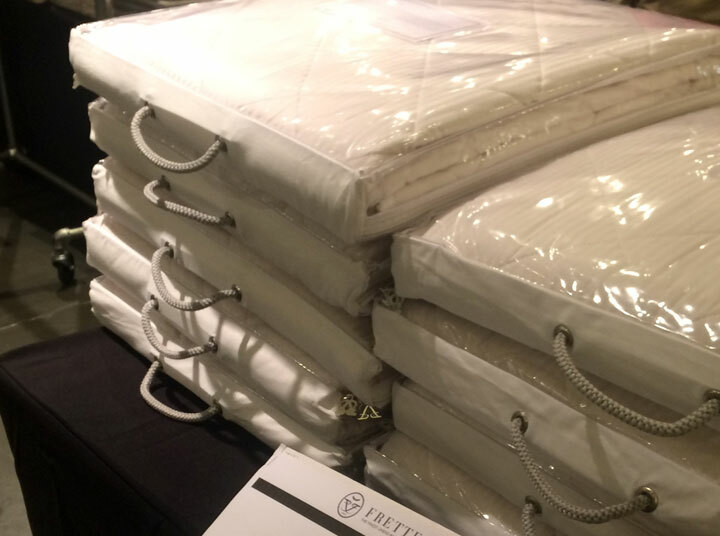 The Privé showroom at Chelsea Market is a sea of white this week, with high thread count Frette sheets covering every surface. 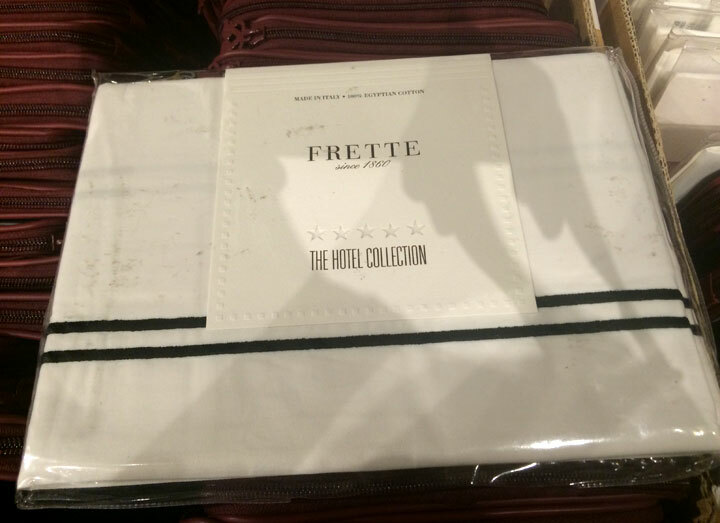 The sheets still aren’t cheap by any means, but you are unlikely to find Frette’s luxury bedding at better prices. 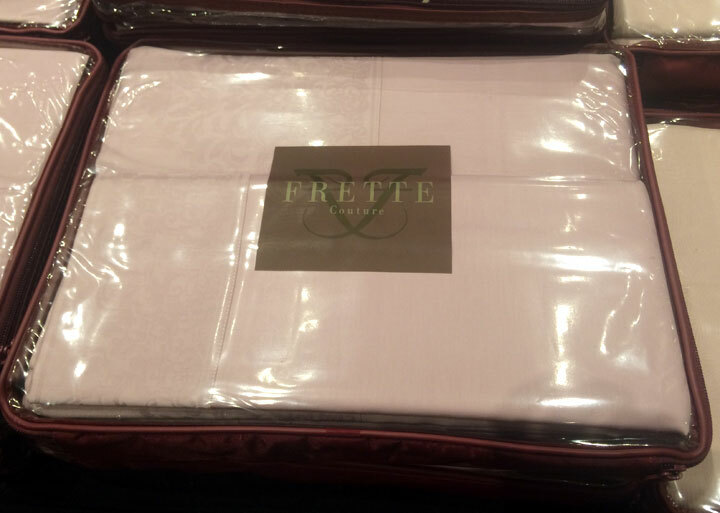 Plush towels are available in a variety of colors, but your best bet is white you are looking for a complete set. 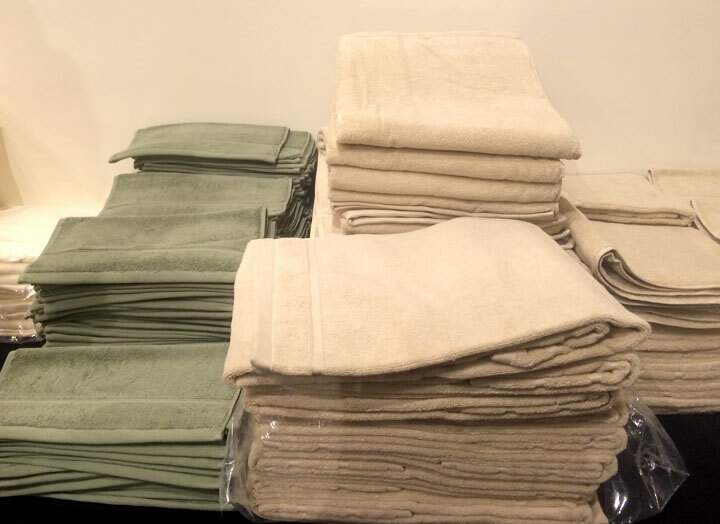 Bath towels are $20, hand towels are $5, and wash cloths are $2. Bath mats and bath sheets are available for $15 and $30, respectively. 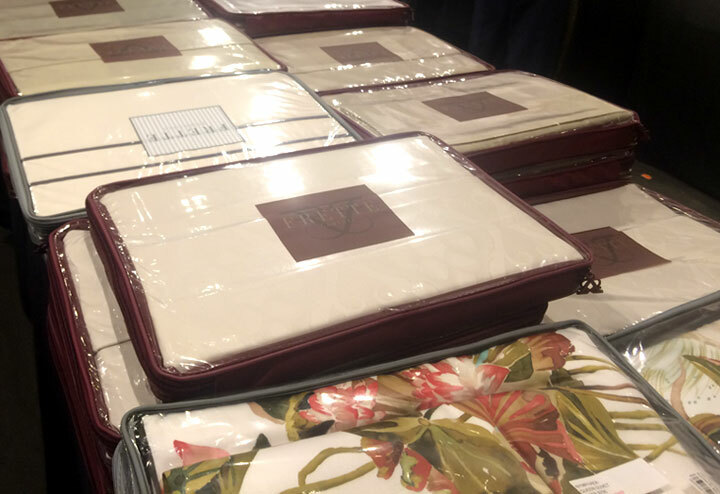 Sheet sets are available for King and Queen beds, and there is a small selection of sets available for California Kings. 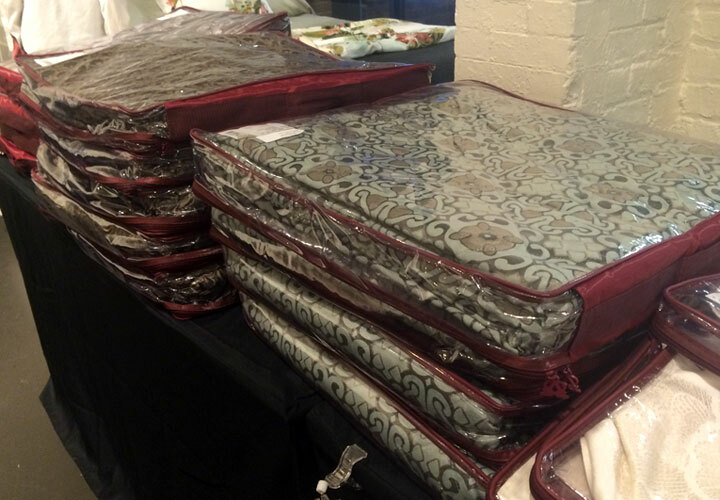 Sheet sets are individually priced; they ranged from $169 to $269 for Queen sets, and $179 to $279 for King sets. The California King sets are all $259. King- and Queen-sized duvet covers are also available. Kings have the flat price of $279, while Queens range from $159 to $699. 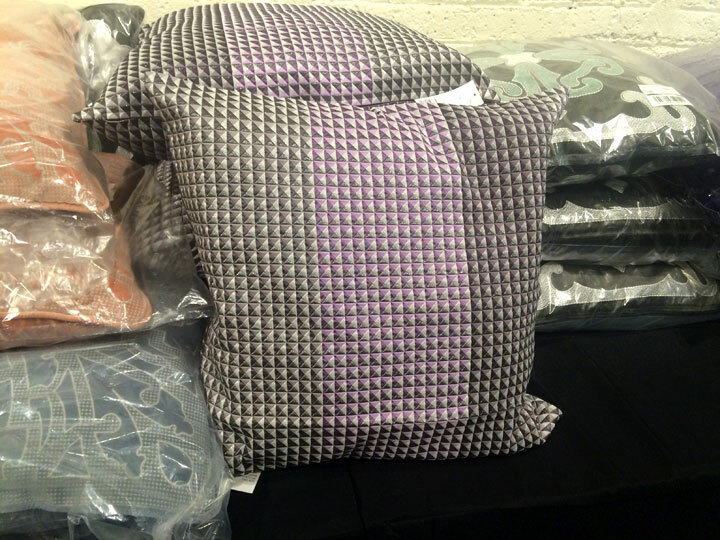 Individual pillow cases can be purchased for $19 to $39. Pillows are $69, and mattress pads are $249. The palette is predominantly white or cream, but you can also find some other subdued colors. Other bed accessories include cashmere throws for $399, decorative pillows for $89-$120, quilts for $449-$699, and shams for $19-$39. There was also an assortment of pajamas for $199-299, bags and dope kits for $199 to $399, and a hat and scarf set for $249. 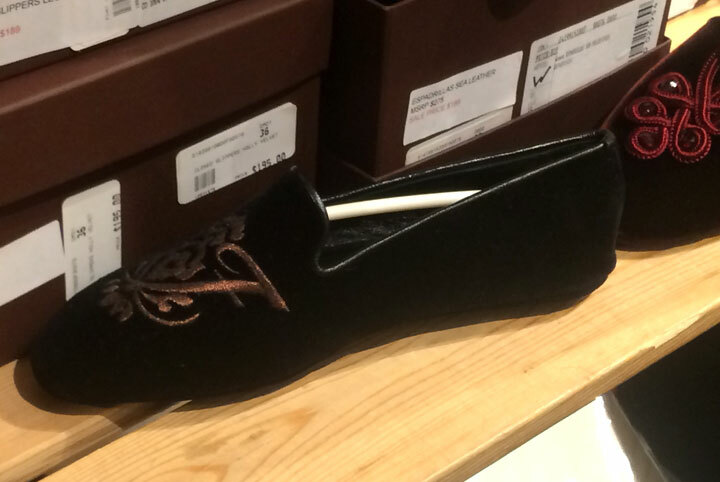 Slippers are $139 to $189. There will be restocking throughout the sale, but it is unclear if there will be markdowns. The sale runs through Sunday, June 19th.